Please note the following changes now in effect. UBS now relays email through the proper channels. UBS will now log access over HTTP(s) in the expected format. Please do let us know if you should have any questions help@sites.utexas.edu. The UBS stewardship team is happy to announce a new plugin called: UT Branding Bar. 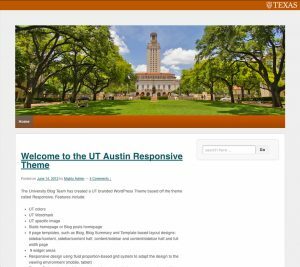 This plugin is optimized for sites using the UT Responsive Theme. Activating this plugin will place the University Brand Bar bar across the top of your site. 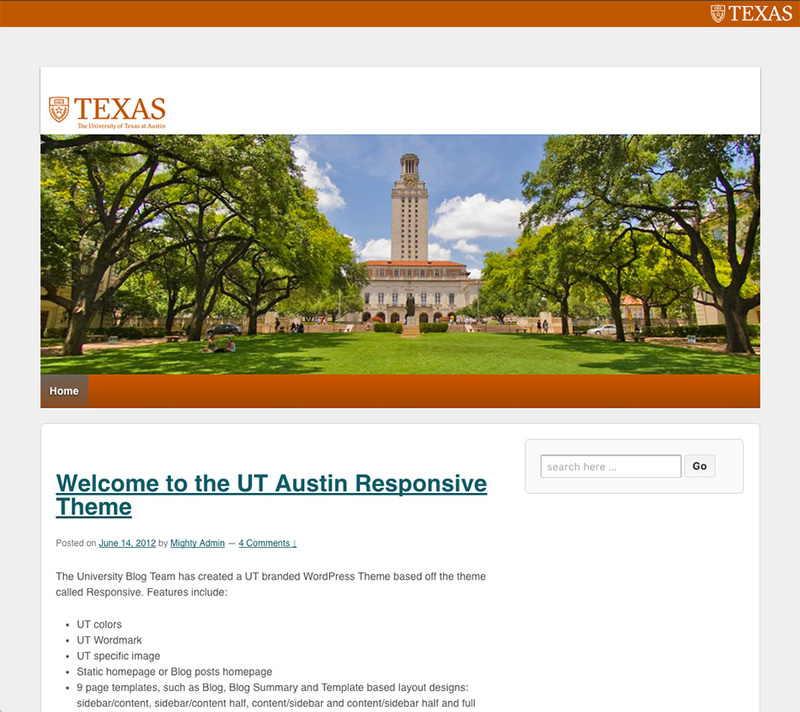 That’s GREAT – but can I hide the existing UT Branding logo built into the theme header? 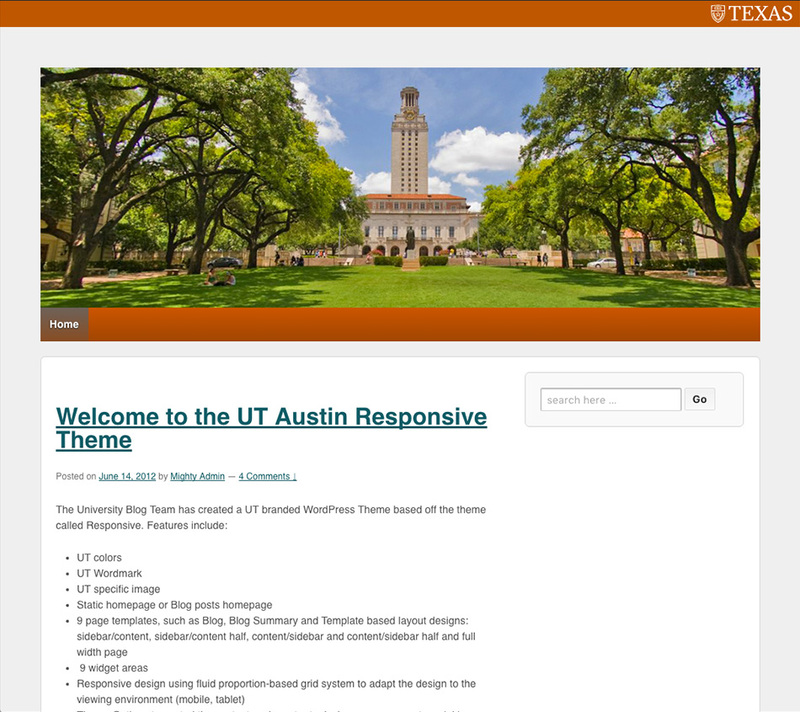 We have added a Log In link in the footer of the UT Responsive Theme that will allow users to log in to their sites. This plugin was developed for the UT Responsive Themes. 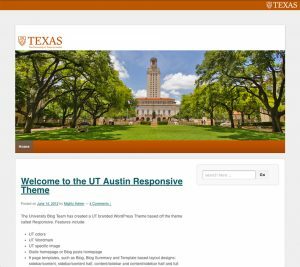 It is recommend that site administrators use the UT Branding plugin with the UT Responsive theme. Your results may vary if using a different theme.